In our last blog, we looked at the surgical expansion at the Hanover District Hospital. Today, we jump from the healthcare industry to the education sector as we highlight an innovative renovation at the University of Toronto Mississauga. The project included the renovation of a vacated cafeteria at the University of Toronto Mississauga known as Spiegel Hall. Design work began in January with a target construction completion date by September of the same year, in time for the beginning of the fall semester. 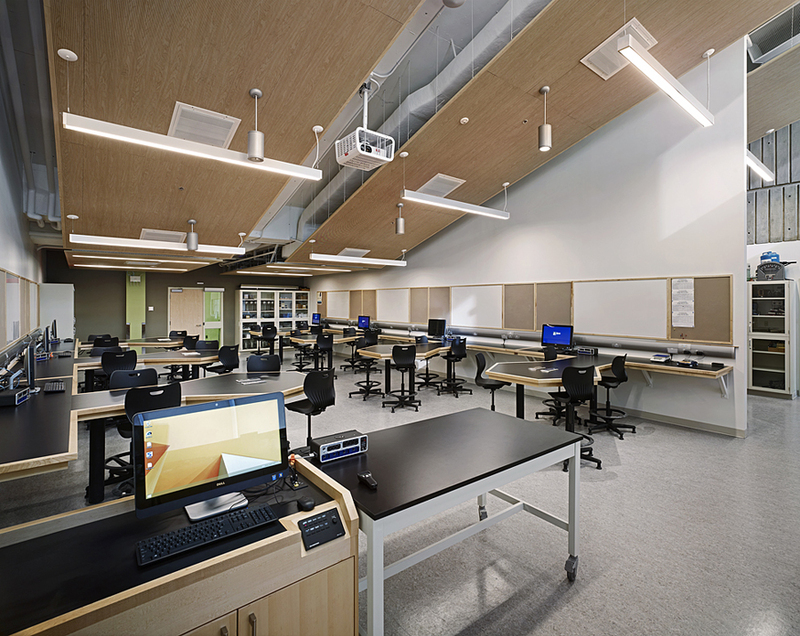 The area was modified to accommodate the physics undergraduate teaching laboratories; including one large teaching lab (48 student capacity), a smaller teaching lab (24 student capacity), an upper year lab, four darkrooms, a workroom and several offices. 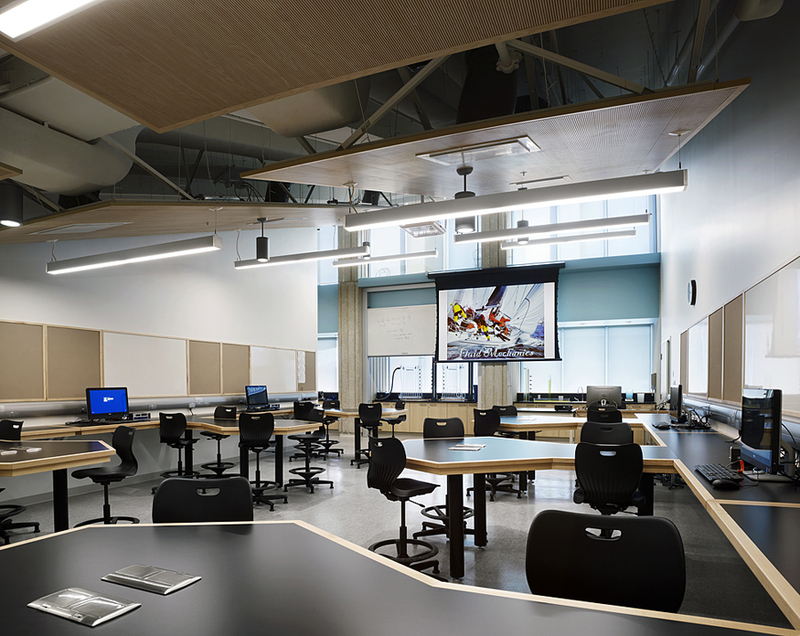 The two-story space is flooded with natural light and has natural wood acoustic ceiling panels to create an attractive, welcoming, and comfortable learning environment. The new labs are equipped with blackout blinds and sun control blinds, which are controlled electronically by the instructor. To ensure and encourage classroom collaboration, there are pull-down whiteboards and projection screens, which allow for lessons and student work to be displayed for all to view. To further optimize the space within the labs and encourage teamwork, workstations were setup and arranged in pods of four. The workstations are equipped with computers and monitors, and have access to the Internet, which enable electronic lab protocols, e-data collection and submission of work. Join us next time when we look at Southlake Regional Health Centre in Newmarket, Ontario.